If there is an elite group of actors in Hollywood who every newcomer should pay homage to, Ben Affleck will be at the top of that list. The screenwriter, actor, producer, and director was born on the 15th day of August 1972 in Berkely California. His career as an actor dates way back to his school days when he used to be a major part of school theater productions and received a good number of accolades before he graduated. Before that, he had his professional acting debut at the age of seven and from that time onwards, Ben Affleck movies have generated different kinds of buzz at very many different times. Affleck attended Cambridge Rindge and Latin high school where he formed a close bond with bestie and star actor Matt Damon especially because as far back as those younger years, they shared like interest in acting. Affleck spent very little time at the university before he dropped out to make better use of his time in developing his acting career which by now was consuming all of his time and resources. His career began with minor roles in small scale productions which trickled in steadily until his major breakthrough happened in 1997 when he acted alongside his good friend Matt Damon in Good Will Hunting, a one-act play written by Damon which they had turned into a script. The movie’s critical and commercial success instantly launched the two into stardom that had other producers and directors wanting to work with them. Since then, it’s been from one great movie to another for Affleck who fans can’t get enough of. At some point, it began to look like all a movie needed to succeed was his presence or his name on the cast of characters. Some of his really popular roles are his beautiful rendition of the character of Bruce Wayne and Batman in Batman v Superman: Dawn of Justice (2016), as a fallen angel in Dogma (1999), a strong-willed American pilot to save the world in World War II. Others movies of note include Dazed and Confused, Shakespeare in Love, Gone Baby Gone, The Town, Armageddon, Dare Devil, and Jersy Girl to mention a few. For all of his hard work in Hollywood, Ben Affleck has a list of movie features too long to be listed. For those, he has also been nominated for a host of awards and has won a good majority of those nominations. It began with a Golden Globe and an Academy Award in recognition of his writing genius in the movie Good Will Hunting. Others include a Golden Globe, BAFTA and a Director’s Guild Award for Argo (2012), a movie he co-produced, directed and starred in. These are just some of the many awards he has bagged for his excellence. 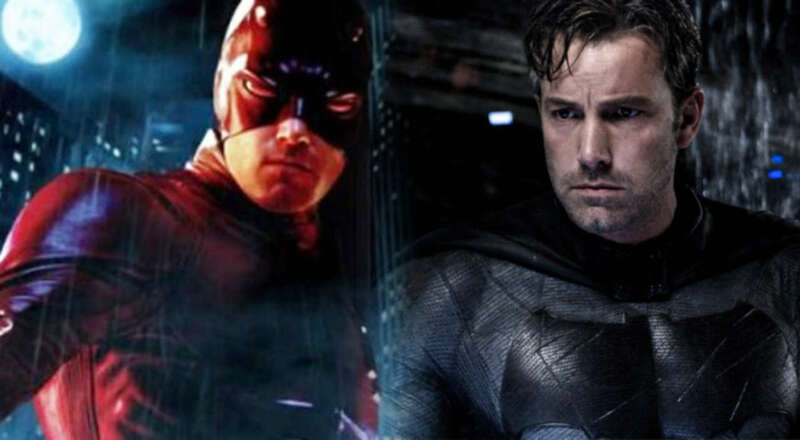 Because Affleck is a superstar actor in a league of his own, it is only fitting that anyone who is a proud moviegoer should be conversant with the many movies he has been a part of. But beyond being a huge fan, there are some of his movies that are just too good for anyone not to have seen them. So whether you are a fan of Ben Affleck of not, you should see these 12 movies of his at least once. You never can tell, you may just come to love him as much as we do after watching them. Good Will Hunting is a drama in which Affleck stars as Chuckie Sullivan alongside his friend Matt Damon who starred as Will Hunting. 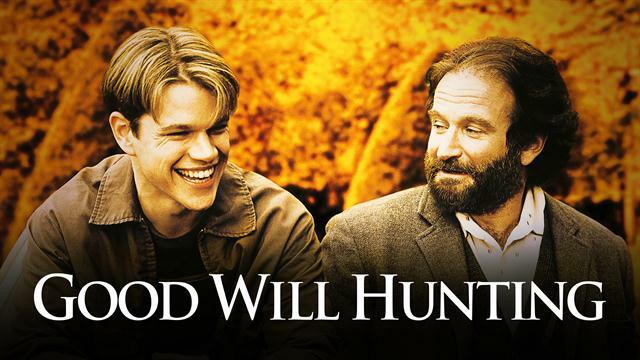 In the movie, a 20-year-old troubled genius Will Hunting who works as a janitor agrees to work with a therapist and study advanced mathematics as part of a deferred prosecution offered to release him from jail where he was for assaulting a police officer. Affleck’s role as Will’s best friend Chuckie Sullivan becomes interesting when Will’s session with the therapist required him to evaluate the relationships of the people closest to him being majorly his girlfriend and Chuckie. He did this in order to confront his troubled past and forge ahead to a better future. Good Will Hunting was a massive success both critically and commercially. This movie is also a must-see because it is the first effort Affleck made at testing the water to bigger endeavors in Hollywood and he succeeded. Of the many Ben Affleck movies out there, if you have not watched Chasing Amy, you are missing out on excellent film making. The movie is a romantic comedy about a comic artist (Ben Affleck) who met and fell in love with a fellow comic artist Alyssa (Joey Lauren Adams) even though she was a lesbian. The two struck up a relationship which caused Holden to alienate his best friend and business partner Banky (Jason Lee) who in turn went searching for ways to break up the relationship. Banky successfully finds dirt on Alyssa and shares it with Holden, successfully breaking the relationship up. Things take a new turn when Holden comes up with a plan to win back both his love interest and his best friend. Ben Affleck may not have won an award personally for the movie, but the movie was a major success in the box office and even critically. It grossed well over $12 billion dollars, was nominated for 3 awards out of which it won the award for Special Recognition for Excellence in Filmmaking from the National Board of Review of Motion Pictures. In Armageddon, Ben Affleck stars alongside giants Bruce Willis and Liv Tyler as a group of scientists sent by Nasa to stop an asteroid belt set on a collision course with earth. This might as well be one of the actors most incredible works as he was nominated for 5 awards for the role he played. Of the five nominations, he won one for Favorite Supporting Actor – Sci-Fi at the Blockbuster Entertainment Awards. The movie itself was nominated for four awards out of which it won two for The Best Action Sequence at the 1999 MTV Movie Awards and the Best Science Fiction Film at the Saturn Awards. It is certainly worth your time. Pearl Harbor is surely one of the most interesting of Ben Affleck Movies that in the romance genre. He starred in this blockbuster beside other stars like Cuba Gooding Jr, Kate Beckinsale, Alec Baldwin, and others. As the name suggests, it is a fictional rendition of the attack on Pearl Harbor by the Japanese. First, the movie received negative criticisms because of what many perceived to be inaccuracies on the part of the writer. Yet, the movie was nominated for a host of awards including 4 Academy Awards and 6 Golden Raspberry Awards. As the icing on the cake, the movie made history as the first movie that prompted the nomination for the category of Worst Picture which it also went on to win at the Golden Raspberry Awards. If for no other reason, watch this movie to see if the negative criticisms are correct. In Daredevil, Affleck took the challenging role of a blind lawyer who is averse to all things injustice. He fights in court to get justice and outside the court as a masked vigilante nicknamed Daredevil. He was cast in the movie alongside Jennifer Garner who played the role of his love interest Elektra. At the time of release in 2003, Affleck’s role was highly criticized with many coming to the conclusion that he lacked ambition and did not handle the role well. This notwithstanding, Daredevil was a huge commercial success and even birthed a spin-off titled Elektra. This particular movie was special when it hit the screens for two reasons; first, it was the first live-action that was graced with the presence of our beloved superheroes Batman and Superman together and secondly, it led to the first cinematic portrayal of lady hero Wonder Woman. As expected, the movie featured a battle between the two superheroes with billionaire Lex Luthor as the mastermind who pitched them against each other. For his performance that was praised by many, Affleck was nominated for a total of six awards out of which he won one. Hollywoodland follows the work of private investigator Louis Simo who tries to get ahead in his job and become famous by investigating the suicide case of famous actor George Reeves who he thinks was murdered because the evidence gathered did not add up. Although Paul Bernbaum wrote the fictional version of the incidents that led to the actual death of late actor George Reeves, and Ben Affleck was cast in the supporting role capacity, the movie was a massive success because as usual, Affleck brought on his A game and took home many awards for his excellence. 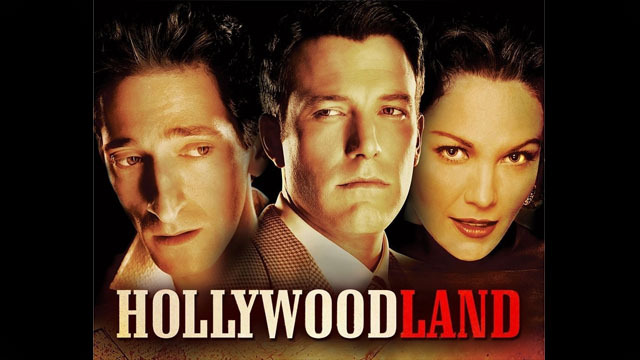 If you’re still wondering why Hollywoodland is on our list of Ben Affleck Movies you must see, it is because the actor’s performance in this movie won him the awards for Best Actor and Best Supporting Actor of the year out of a much longer list of awards he was nominated for. 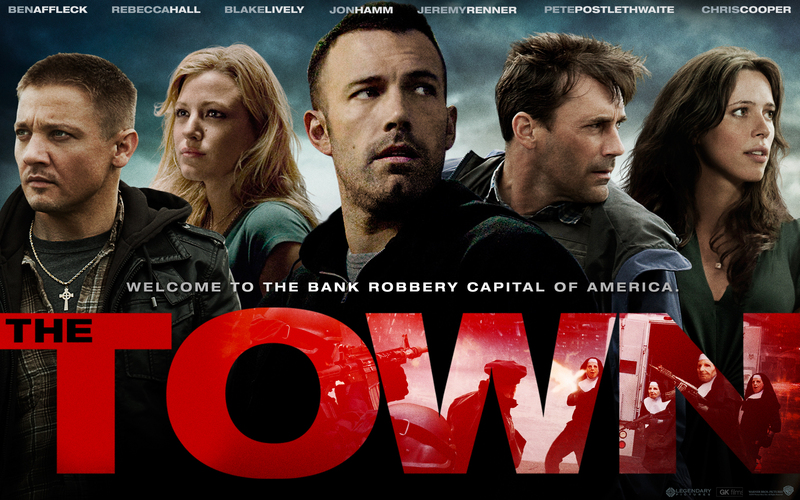 The Town is significant on this list because the movie itself was directed by Ben Affleck in addition to his starring in it. The crime thriller is an adaptation of the novel Prince of Thieves as written by Chris Cooper. It follows the story of four longtime friends who make a living by robbing banks. Their decision to carry out one last heist before retiring from the trade goes horribly wrong when one of them falls in love with a worker from the bank who he was supposed to shadow for information. Affleck did not go home with any awards for this movie, but it was a commercial success all the same. A good list of Ben Affleck movies will surely not sound right without Argo, a 2012 production which the actor equally directed. The movie is adapted from real life situations in a book written by Tony Mendez of the CIA entitled The Master of Disguise and an article from the wire, recounting the escape of Americans who were in a hostage situation in Tehran (The Great Escape: How the CIA Used a Fake Sci-Fi Flick to Rescue Americans from Tehran). Argo was an instant fan favorite and scored a good number of awards. Gone Girl is a psycho-thriller based on a novel of the same name by Gillian Flynn. It tells of the events surrounding the disappearance of housewife Amy who intentionally went into hiding and framed her husband Nick for her supposed murder. Ben played the role of Nick who was first distraught at the loss of his wife and subsequently at the idea that she had framed him for her murder. The movie follows Nick’s efforts at figuring out what his missing wife’s plan is and how to vindicate himself. The movie’s success saw it gross well over $369 million to be named director Fincher’s most commercially successful work. It also received several nominations for awards. Ben Affleck’s portrayal of a small town public accountant who grew up as an autistic child with a father who had him trained in martial arts, made for a good movie in 2016. As an accountant, he made a good living untangling webs of unbalanced accounts and fishing out trends of embezzlement for criminal organizations in different locations around the world. Even if you have not seen other movies on this list, this one is a must see. 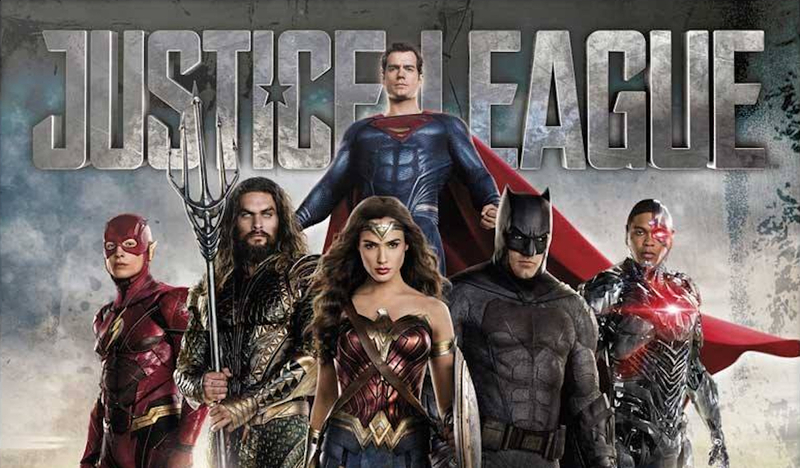 When Batman v Superman: Dawn of Justice ended, it birthed the Justice league as the fifth installment in the DC Extended Universe and is based on a superhero team tagged the Justice league. There ever so much to say about DC comics, but with the long list of superheroes assembled in the movie, it is certainly a must watch. Besides Ben Affleck, It stars other superheroes like Henry Cavill, Gal Gadot, Ezra Miller, Jason Momoa and a host of others.